If you were looking for the definitive Christmas anthology, consider yourself lucky, because you just found it! This book is everything you want Christmas to be — loving, warm and celebratory. 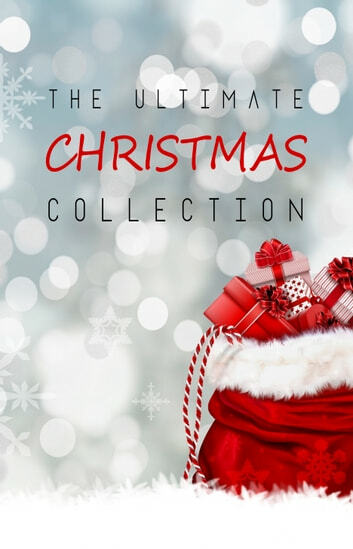 Timeless and adorable, beautifully designed, "The Big Book of Christmas" is a great big stocky book — stuffed with novels, novellas, short stories, poems, carols and songs. Inside you'll find: · Novels, novellas and short stories from Charles Dickens, Louisa May Alcott, Hans Christian Andersen, O. Henry, Lucy Maud Montgomery, E. T. A. Hoffmann, L. Frank Baum, Fyodor Dostoyevsky, Leo Tolstoy, Henry Van Dyke, Oscar Wilde, Nathaniel Hawthorne, Anton Chekhov and many more! · Poems, carols and songs from John Milton, Clement Clarke Moore, William Blake, W. B. Yeats, Rudyard Kipling, Henry Wadsworth Longfellow, H. P. Lovecraft, George MacDonald, Emily Dickinson and many more! Complete Works of James Joyce "The Great Irish Novelist and Poet"